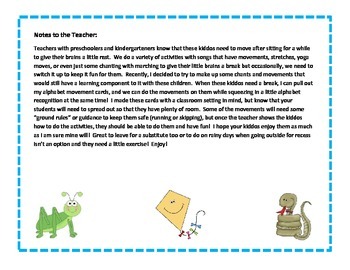 When working with preschoolers and kindergarteners, we know they can get wiggly and need to do an activity with movement after awhile. 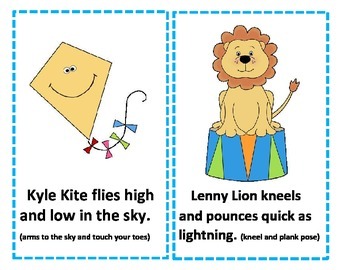 I created these cards to add to my "bag of tricks" for this age level. 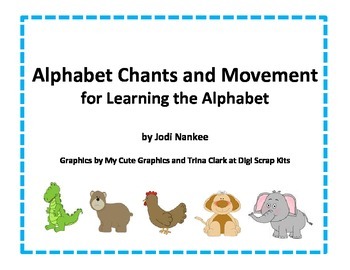 I like to be able to get them to move but still make it educational so I created these alphabet chants with a matching movement so the kids can have some fun while still learning. 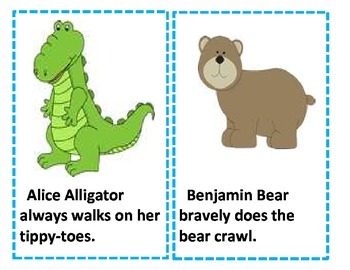 These cards are designed to be used in the classroom but students will need to spread out and the teacher will need to establish some safety guidelines to keep everyone safe. Have fun!